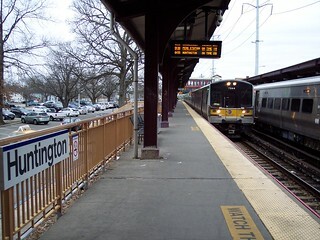 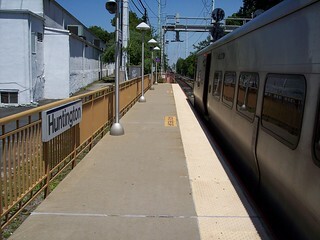 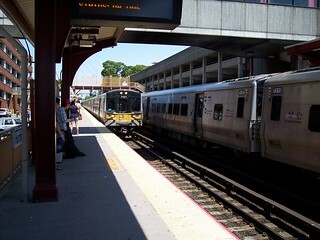 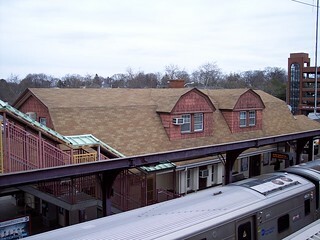 We changed trains here at Huntington on our trip from Port Jefferson to New Hyde Park. 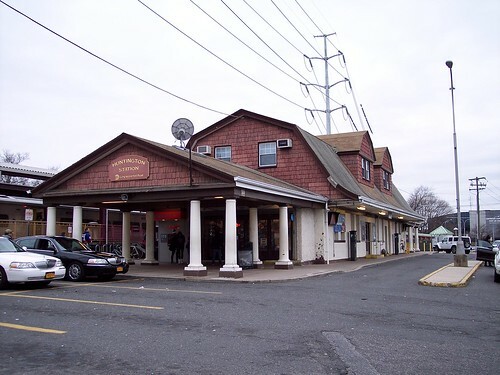 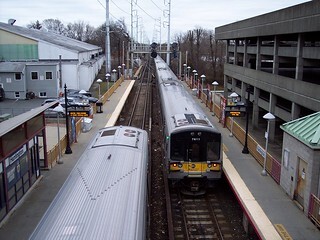 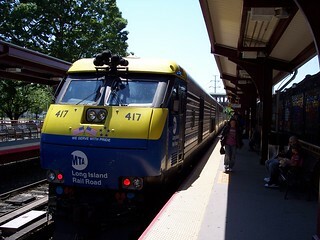 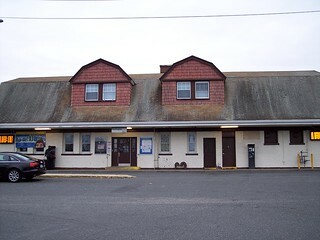 On the left we see our train from Port Jefferson. 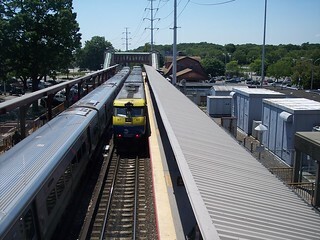 On the right, our train to New Hyde Park arrives.